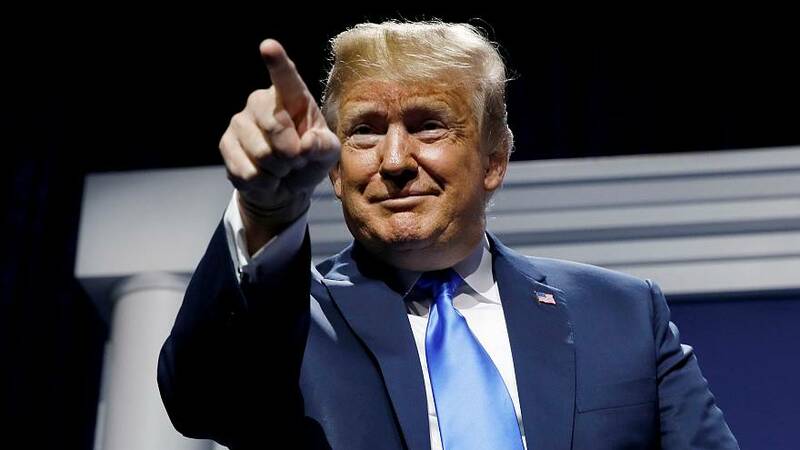 Warner Brothers Pictures will file a copyright infringement suit against the White House, the studio confirmed Tuesday, after President Donald Trump used music from "The Dark Knight Rises'" score for his latest 2020 campaign video. "The use of Warner Bros.' score from 'The Dark Knight Rises' in the campaign video was unauthorized," a Warner Brothers spokesperson said in a statement. "We are working through the appropriate legal channels to have it removed." The suit will petition for Trump to remove the video from Twitter, where he shared it in a tweet Tuesday. The two-minute video not only utilizes Hans Zimmer's "Why Do We Fall?" from the 2012 threequel, but also shares the font used for the film's title cards. "First they ignore you. Then they laugh at you. Then they call you a racist. Donald J. Trump. Your vote. Proved them all wrong. Trump: The Great Victory. 2020," declares the video, using the "Dark Knight Rises" font. The video also attempts to compare Trump's rise to power with the apparent poor performances of Barack Obama and Hillary Clinton, as well as Hollywood personalities who have been critical of the president like Amy Schumer and Rosie O'Donnell. Trump has used pop culture references to promote himself in the past, such as his "Game of Thrones"-style poster bearing the legend "Sanctions Are Coming" — a play on the series' "Winter Is Coming" catchphrase. "We were not aware of this messaging and would prefer our trademark not be misappropriated for political purposes," HBO said in a statement at the time, as well as tweeting "How do you say trademark misuse in Dothraki?" from its official Twitter account.